It's understandable that General Motors CEO Dan Akerson wants to speed up the restructuring of the automaker's money-losing Opel brand. GM has a right to be impatient with Opel after so many years of red ink. Akerson is shaking things up in Ruesselsheim, but some of his maneuvers surprise me. Why does GM have to announce the moves in Wild West style, waving the axe over people's jobs by threatening to close plants when no final decisions have been made yet? Employees are the best brand ambassadors – if they are satisfied. They are not just figures on balance sheet. Opel and UK sister brand Vauxhall have already reduced its European headcount by 8,000 people. Don't scare the remaining 40,000. Motivate them! Why doesn't GM realize that all European automakers are affected by the sales slump in southern Europe – especially those brands with limited sales outside Europe such as PSA, Renault – and Opel. Opel had access to just a quarter of the global market volume in 2010. It's either not present, in markets such as Brazil, India, the United States and Japan, or not a factor, like in China. GM's leaders shouldn't be surprised that Opel is struggling when its sales are limited to one region and that region is in a slump. Why doesn't GM do a better job coordinating its brands in Europe? Why is Chevy allowed to launch the Volt plug-in hybrid ahead of Opel (or at all) when its version, the Ampera, is so crucial for the brand's green positioning? Why is Chevy allowed to invest in motorsports while Opel still lacks a strategy? One thing is clear: Chevrolet will not be able to replace Opel in Europe -- not tomorrow and not in 20 years. Opel/Vauxhall sold 1.05 million new cars in Europe last year. Chevrolet's European sales were not even a fifth of that at 197,000 units. Akerson's shake-up will bring a lot of new bodies to Opel. These people are supposed to speed up a restructuring that GM executives told me two months ago was nearly finished. Opel's new head of manufacturing, Peter Thom, will play a major role. Thom, who will replace Reinald Hoben starting next March, currently leads production at GM China. 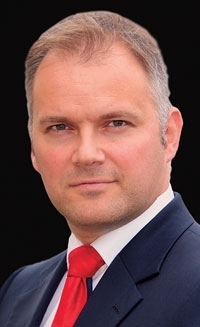 He is considered one of the company's best manufacturing experts because the 48-year-old Brit has led GM plants in Sao Paulo, Brazil, Luton, England, and Eisenach, Germany. His upcoming challenges include deciding whether Opel can maintain its strong manufacturing footprint in Germany or whether one of the automaker's four factories will need to be shut. The Bochum factory could be at risk again. He'll also have to make sure the next Agila and a small SUV that will be built in South Korea will meet European quality demands. That was not the case for the Korea-made Antara SUV, which hurt Opel's brand image and prevented it from benefiting from the strong growth in that segment. Other executives who will play a bigger role at Opel as members of its supervisory board are GM International Operations President Tim Lee, who is one of the company's most experienced managers, GM Vice Chairman Stephen Girsky, who is the new head of the board, and GM Chief Financial Officer Dan Ammann. All three will oversees the management team led by Opel CEO Karl-Friedrich Stracke. Let's hope that the Americans -- especially CFO Ammann -- won't be ueber-focused on short-term quarterly results at Opel. Sure, tough times often require unpopular actions, but don't cut too deep because you will need the people and capacity once the market recovers. The key to success is product, product, product – and Opel is supposed to start the largest product offensive in its history next year as part of 150th anniversary of the company's founding by Adam Opel. Maybe Detroit just needs a bit more patience and trust in the restructuring measures the company has taken so far. Of course, this is not easy for Akerson and his colleagues to do when sales in Spain and Italy are in a slump, Portugal has been downgraded by rating agencies, etc. A tailwind from the markets would be more than helpful to finish Opel's restructuring.